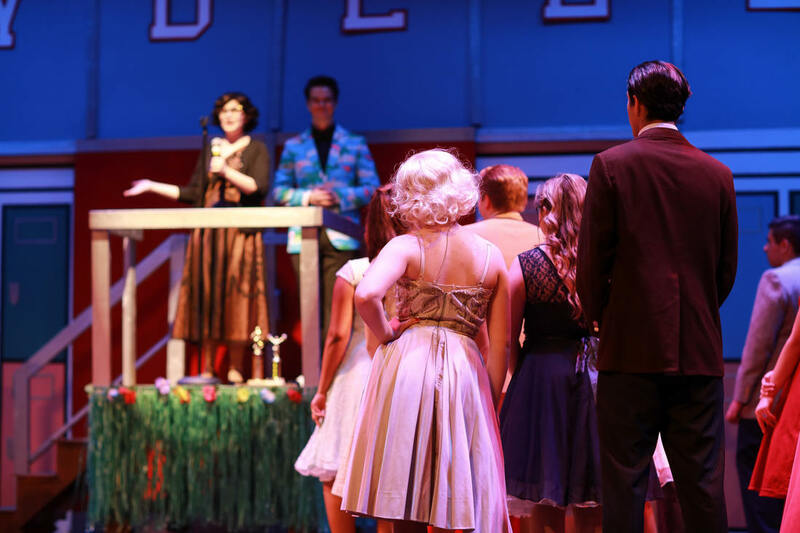 The theatre program of Cedar Creek High School is committed to mounting high-quality productions that provide a rich educational and theatrical experience for its participants and audiences. We will continually strive to present work of artistic and thematic significance to our community, in the hopes that students, teachers, and spectators alike will be moved by our work to feel deeply and think deeply. Cedar Creek Theater serves as a dynamic and diverse educational environment where students can develop a life-long relationship and love for the arts. Over a third of the student body at Cedar Creek High School participates in our fine & performing arts programs including curricular offerings in theater, instrumental music, choral music, dance, media and broadcasting, and the fine arts. Our theatrical season includes an all-school comedy/drama in the fall, Play Performance class productions, an all-school musical in the spring, and various solo and small ensemble performances throughout the community. Students can also participate in Team Theatre, our forensics team, and Shakesperience, the annual Shakespeare festival at Rider University. Our theatre courses currently have dual credit agreements with Atlantic-Cape Community College and articulation agreements with Rowan University. Cedar Creek Theater is a proud participant in the Montclair University Theater Night Awards, Paper Mill Playhouse Rising Star Awards, and the Atlantic County Teen Arts Festival. ​generous and devoted parents; and a dedicated teaching staff. and the heart of our program. the Greater Egg Harbor community for always supporting the arts. ​ as we grow many more generations of students through a love of the arts! WE ARE CEDAR CREEK ARTS!